Location, Location, LOCATION!! 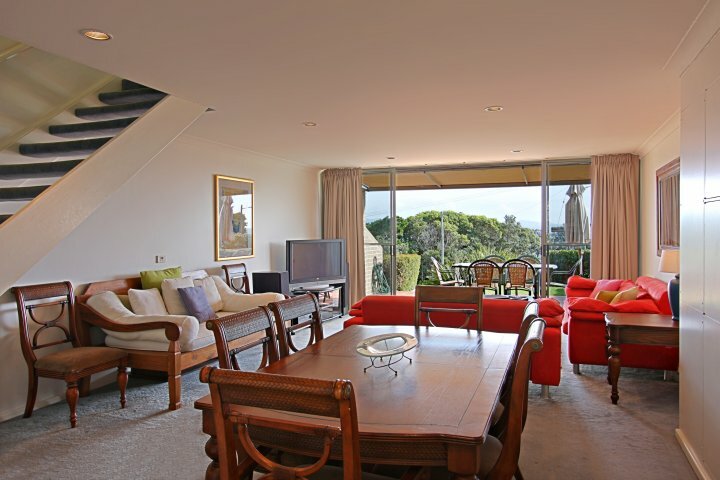 If that's what you're looking for then this apartment offers you the ultimate setting. 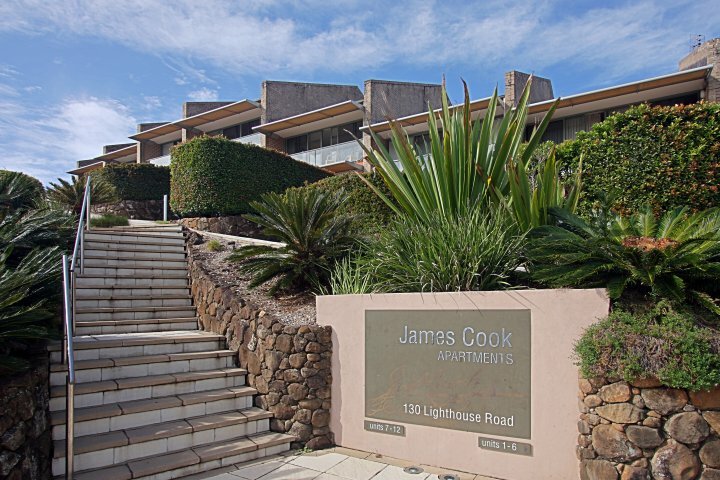 Situated opposite Captain Cook lookout and the stairs to Clarkes Beach this three bedroom, two bathroom apartment offers incredible views of both ocean and hinterland from the living room and master bedroom. 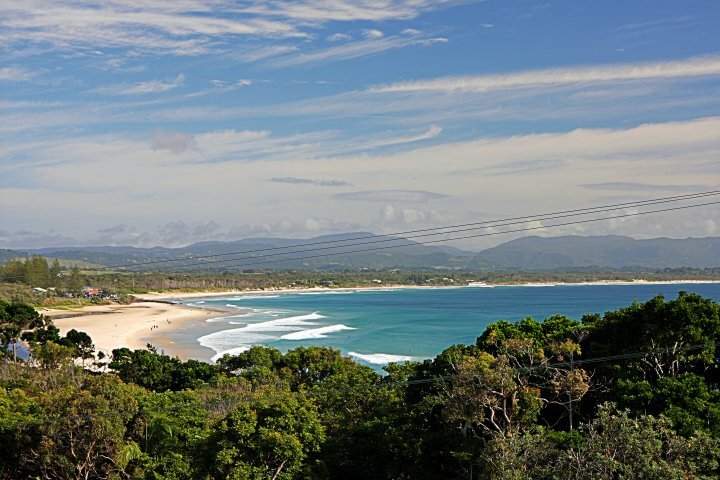 From here you can take a 10 minute leisurely stroll into town or set off on a morning lighthouse loop' taking in Byron's breathtaking scenery along the way. 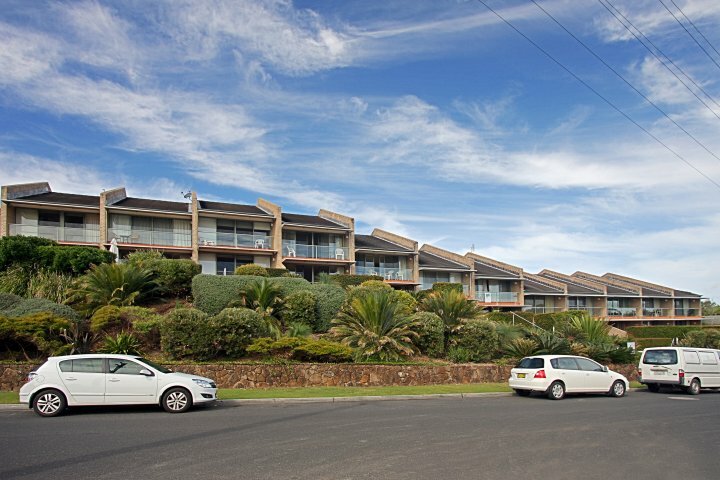 The apartment offers all the luxuries of home (or even more). 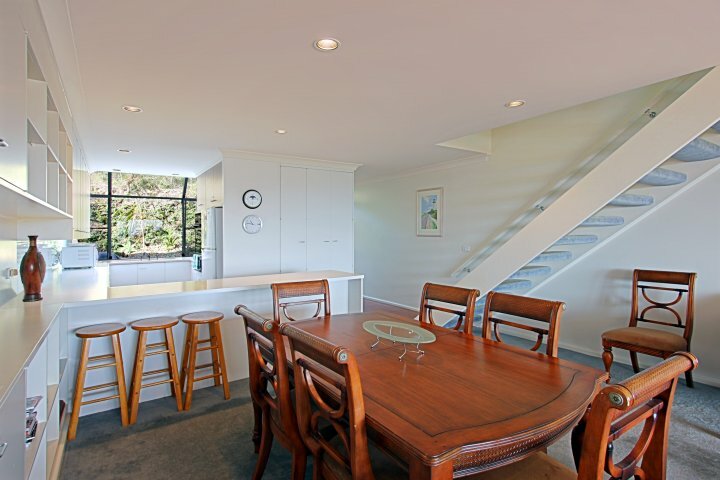 There is a high quality sound system with a large 50" Plasma complete with DVD and Foxtel. 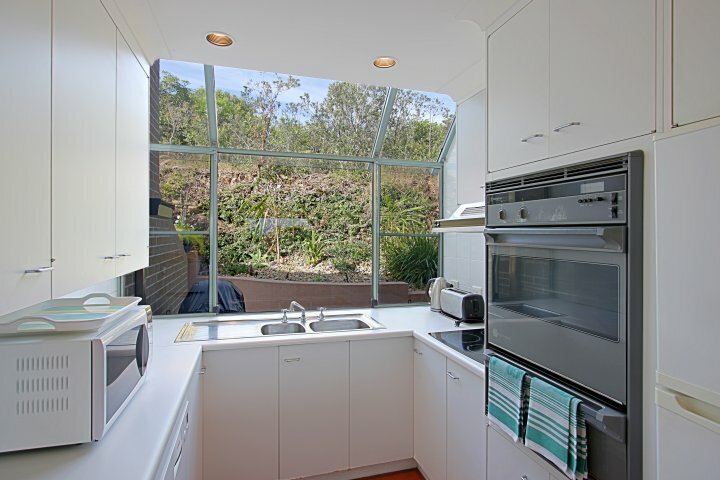 The kitchen is fully equipped and includes microwave and coffee machine. 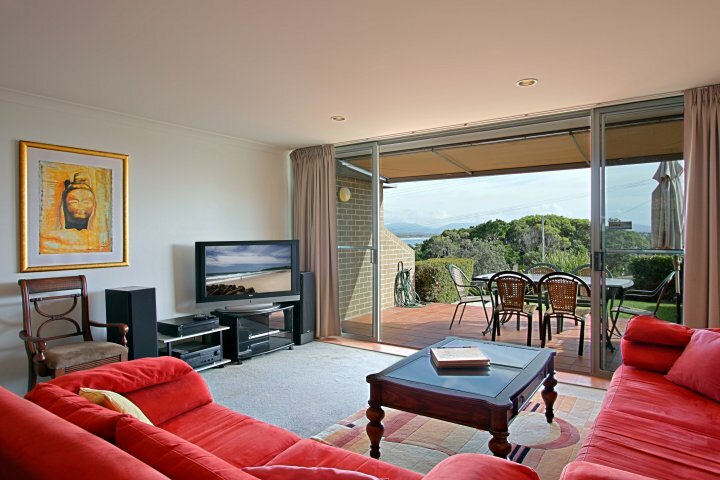 The living area offers comfortable lounges and a relaxing daybed to lay back on with your favourite book or mag. 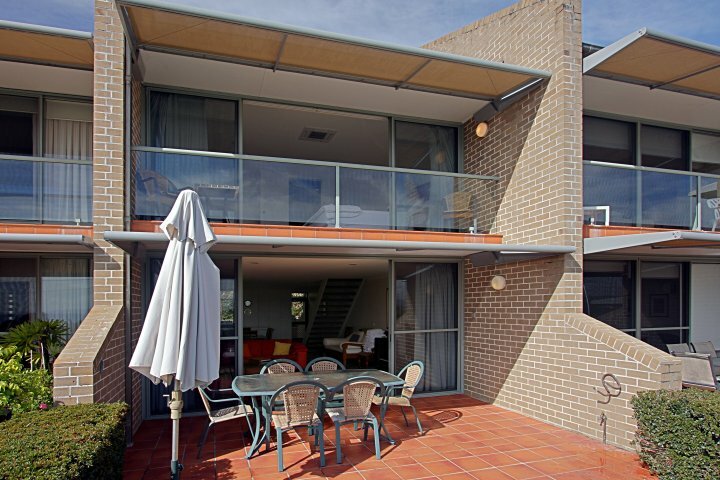 The front patio offers probably the best views north out of any of the apartments in the complex and has a lovely table setting to relax at. The back area has a great gas BBQ for those wanting to cook up a storm after a fantastic day at the beach. 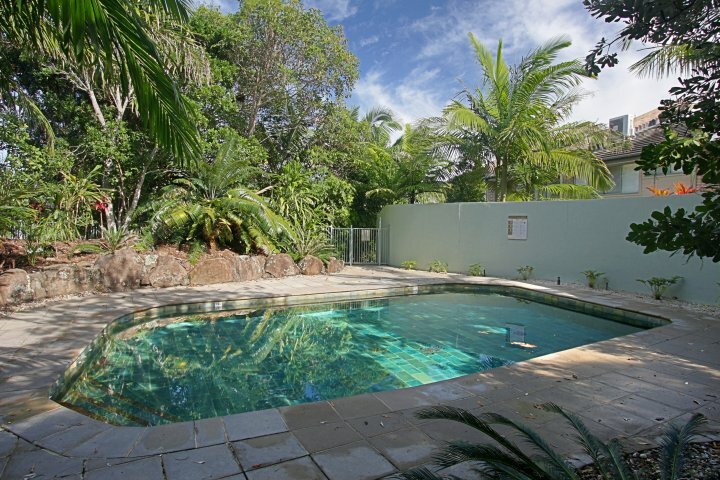 #11 James Cook Apartment also offers a large salt water pool which the kids will love. 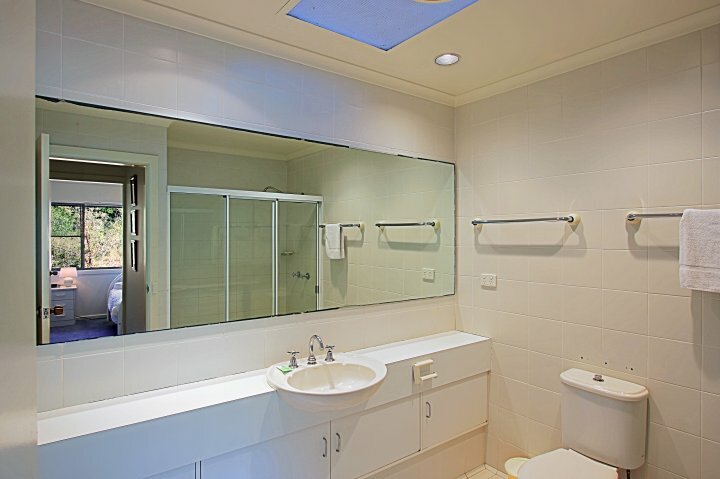 Upstairs you have the the 3 bedrooms and shared bathroom. 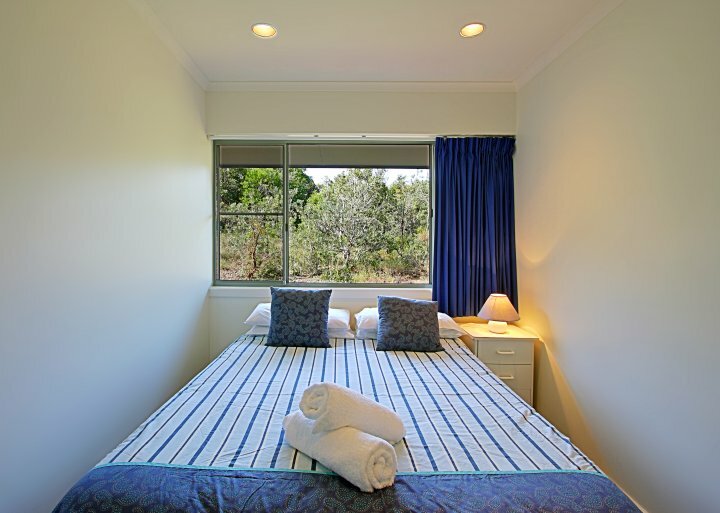 The queen master bedroom with ensuite is located at the front. 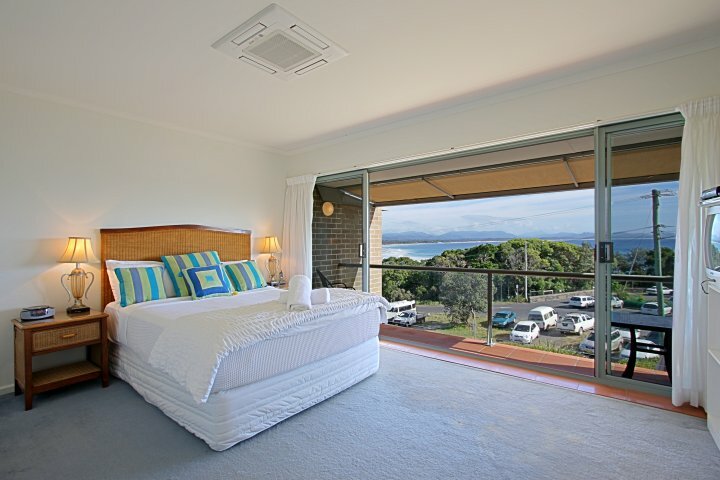 This bedroom offers sweeping views over the bay-one of the best veiws in town. You have a deck from the bedroom to enjoy the views and a sunset drink. 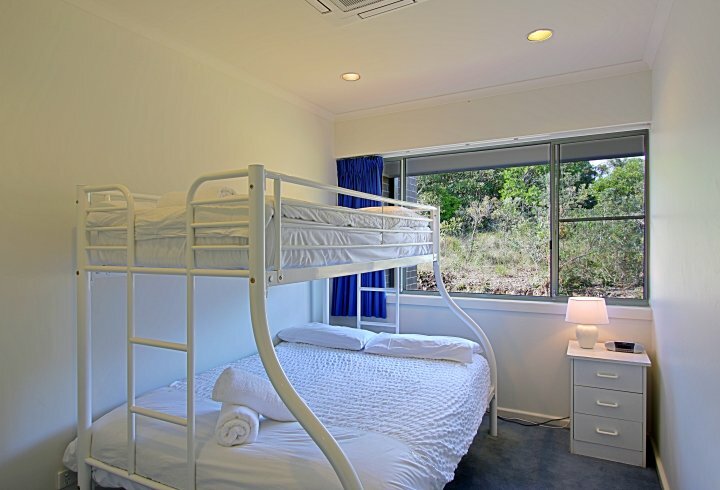 The 2 other rooms are located side by side- one has a queen bed and the other has a bunk- with a double on the bottom and single at the top-great for kids. Nightly rate for 5 night stay.